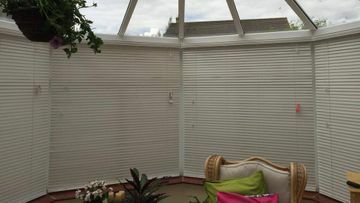 Allshades Blinds is an Irish owned family run business. We have been manufacturing various types of window blinds for almost 20 years to the highest of specifications. We endeavour to ensure that our customers receive the highest quality, durable products that combine the very essence of design with function. All blinds are manufactured in order to provide total satisfaction for many years to come. 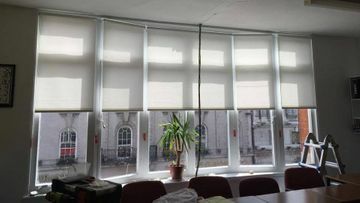 Located in the Ashbourne industrial estate, Co Meath, Allshades Blinds is a family owned Irish company that designs and manufactures window blinds to suit your needs. We are recognised by both our commercial and residential customers as a company dedicated to innovation and is excited to bring window furnishings of real significance to the market while keeping them at very competitive price. We cover areas in North Co. Dublin, Co. Meath, Co. Louth, North Co. Kildare, and Co. Cavan. Our company is based on the belief that our customers' needs are of the utmost importance. Our entire team is committed to meeting those needs. As a result, a high percentage of our business is from repeat customers and referrals.Our reputation is built on quality, efficiency and above all competitive pricing. From elegant and practical vertical blinds for the office to ornate plantation shutters for the home, customers are greeted with the best in modern window decoration at Allshades Blinds. We are intent on supplying our customers with the best quality product in the best possible time, while also ensuring we give you all the help you need in your choice of blind, with essential information on all the options available, including fabric type and colour. With our extensive range of fabrics, colours and designs to choose from you are sure to find the perfect blind system for your home or office needs with Allshades Blinds. That's why we spend considerable time listening to each client's specific goals, needs and ideas right from the start. Then we guide you every step of the way until your vision is realized. We work closely with our clients to ensure quality workmanship and attention to detail. With our extensive experience and creativity have led to industry recognition, and most importantly, very satisfied clients. We would welcome the opportunity to earn your trust and deliver you the best service in the industry. So give us a call today and we can organise to have one of our representatives call to you at a time which suits, they will go through the various types of window blind and find the perfect blind and colour to suit your needs. From the flexibly of vertical blinds to the effortless style of Venetian blinds, we match the right window cover to the design specifics of the client. All our blinds are made to measure, so you can rest assured that they will fit perfectly. Our dedicated team can call to your home or business and measure up for anything from a single blind to blinds for an entire apartment block, hotel etc. We aim to provide a wide choice to cater for all styles. 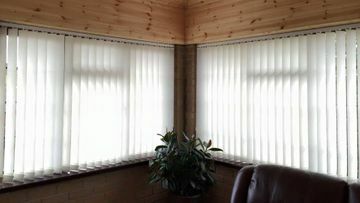 Simply call us today to get a quotation on any of our blinds. Allshades Blinds manufactures and supplies our clients with beautiful elegant and practical roller blinds. Our blinds are available in a range of styles, patterns and colours. Our beautiful, bespoke vertical blinds are the perfect shade solution for offices, retail units and any large sized window. 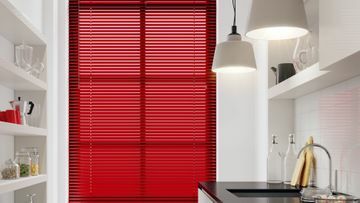 See our vertical blinds page for more information. The sleek, contemporary and practical aluminium Venetian blinds available at Allshades Blinds come in a range of styles, sizes and colours. Woodfaux blinds combine the natural beauty of wooden blinds with the convenience and low maintenance requirements of aluminium. Our stylish plantation shutters add an element of old-world sophistication and class to any property. Our plantation shutters are available in classic wood finishes or finished with high-quality paint. 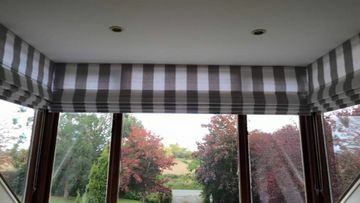 With over 2 decades of Roman blind manufacturing and roman blinds installation experience, we have garnered a reputation for quality and professionalism. Perfect for customising any blind. Our sophisticated printed blind technology can imprint any image into a blind with an extremely high level of detail. For more information on any of our available products and installation services, get in contact with our offices today. Just want to thank you all, in particular Mark for the amazing finish to our house with plantation shutters. We are thrilled and would highly recommend your services. Thank you Mark and All Shades Blinds ...110% happy with your service! My mum and neighbours would agree to that too!! Keep up the great work!!"